DW Windows are one of the most well respected double glazing companies in the West Midlands. For over a decade we have worked on thousands of properties across the area, amassing a wealth of local knowledge and experience. If you live in or around West Bromwich, you’ve probably seen our installation teams working somewhere near you. From Top Hill to Guns Village, we are familiar with every area of West Bromwich. Our convenient location in nearby Coseley and extensive local knowledge makes us an excellent choice for your double glazing renovation plans. West Bromwich enjoys an enviable location at the heart of the UK’s motorway hub. With junction one of the M5 nearby, easy access is available to nearby Birmingham, Worcester, and further afield, with Gloucester and Bristol easily commutable. With excellent public transport links, it’s no surprise that West Bromwich’s population has increased exponentially in recent years. With its industrial heritage and famous football team, West Bromwich is a popular location for people to settle from across the West Midlands. West Bromwich is home to a wide range of properties from new build homes to Victorian and Edwardian properties and large post-war houses. No matter what style or age of property you call home, at DW Windows we can help you to make the most out of your home. Whatever your home improvement plans, we’ve got the best solution for you. 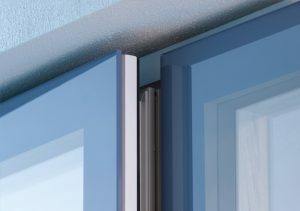 If you want high-tech and contemporary, our Apeer Lumi Windows use cutting edge technology to create a stylish frameless window. If you prefer the heritage look, the Residence Collection of timber effect windows faithfully replicates the character of traditional timber windows without the maintenance and repair issues. All our products provide excellent levels of energy efficiency and superb security standards. 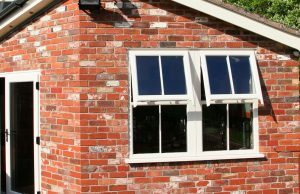 We offer a range of finance options and provide 10 year product and work guarantees on all our installations. If you live in West Bromwich and you want to find out more about DW Windows, give us a call on 0800 9990 909 or contact us online.